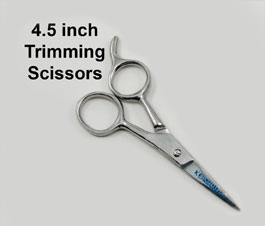 At only 4.5 inches long these little barber scissors are very handy for delicate trimming and clipping your reborn babies hair. These little scissors are ideal for trimming the hair and tiny eyelashes. Nice and sharp.